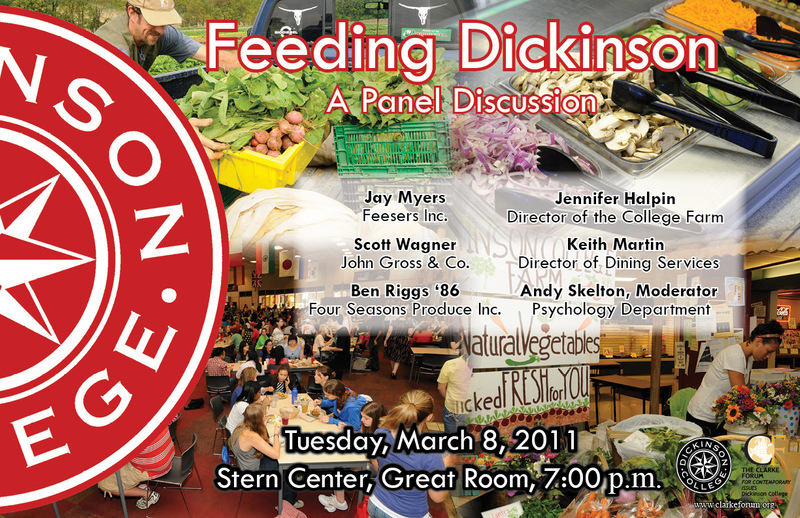 Jay Myers of the food distributor, Feesers, Inc.
Scott Wagner, John Gross & Co.
Each day, Dickinson College provides thousands of meals for students and employees. 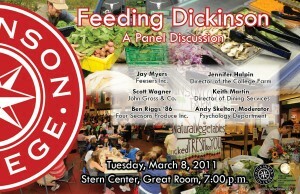 How does an institution feed so many people, with such a variety of tastes and needs? Where does all this food come from and how is its quality assured? Our panel will address these and related questions, offering a glimpse behind the scenes of how a residential college feeds its population. Halpin manages the production and educational aspects of the Dickinson College Farm, in addition to working cooperatively with students and faculty to create meaningful educational experiences on the farm. She serves on the Board of Directors for the Pennsylvania Association for Sustainable Agriculture (PASA), is an active member of the South-central Buy Fresh, Buy Local Campaign and is the board president of Farmers on the Square, a producer-only farmers market in Carlisle. Myers is employed at Feesers Inc., a local privately owned food service distributor that is been in business for over 100 years. Over the last 28 years he has seen many trends come and go, from the Atkins diet to the miracle food, oat bran — and everything in between. He has earned the respect of his customers, employer and competitors. Jay and Feesers have been supplying the needs of Dickinson College since 1982 and are very proud of this long business relationship. 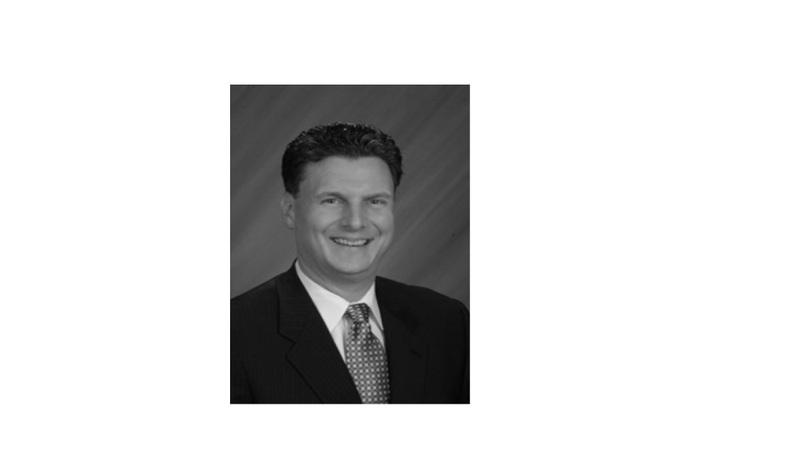 Ben Riggs has 20 years of legal experience in the private practice of law and in the banking and produce industries. His career at Four Seasons Produce began in July 2005 as the company’s first general counsel. He now has taken on additional responsibilities as vice president of Business Development. Prior to Four Seasons, Ben worked for four years with several law firms in the Baltimore area before becoming an in-house counsel for York Federal Savings and Loan in 1994. Ben then was promoted to vice president and assistant general counsel of Waypoint Bank in October 2000 and was additionally promoted to senior counsel for Sovereign Bank in 2004. Ben’s legal experience includes litigation, real estate, banking, corporate law and commercial debt restructuring. Ben holds a bachelor’s degree from Dickinson College (Class of 1986) in Carlisle, Pennsylvania and a juris doctor degree from the University of Richmond, T.C. Williams School of Law (Class of 1989). Ben was also a member of the first summer language immersion program at the University of Bremen, Germany. Scott A. Wagner has worked in the food service industry for 34 years. 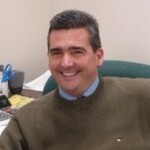 He began his career at John Gross & Co. part-time as a high school student in 1977. John Gross & Co. has been in business for 61 years and is a full line food, beverage, and chemical distributor and has maintained a cash and carry store for almost 30 years. After graduating from high school, Scott continued his career with John Gross & Co. and began working full-time in the service department. After a few years Scott took the lead in the sanitation and service department and was promoted to the service manager. Over time Scott began to show interest in sales and marketing and eventually came to oversee the Sales & Marketing Initiatives for the company. 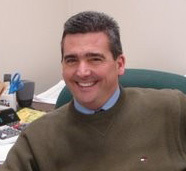 In 1999 Scott was promoted to vice president and today is responsible for many aspects of the company’s daily operations. Andy Skelton is associate professor of psychology at Dickinson College. His teaching interests are in social psychology and in the philosophy and design of psychological research. His research interests include self-perception of bodily states, interpersonal issues in health care, and psychology applied to social problems.